The Wall Street Journal recently ran a story about dropping enrollments in the humanities professions. The information is a Harvard review about decreasing enrollments in the humanities; the point they drew is that humanities enrollments are crumbling because the degrees do not instantly offer themselves to post-graduate employment (never mind that the Harvard review makes it obvious that the actual competitors are with the social sciences, not the 1% of humanities-curious first-years who major in computer science). But to really demonstrate a crisis, you need some figures. Associated with the story was a chart acknowledged to the American Academy of Arts and Sciences displaying an amazing failure in humanities enrollments. And although it shows up in the media regularly to implement a tale of corrosion, some wider viewpoints on the information make obvious that the “Humanities in crisis” tale is seriously embellished. First of all, the chart never quite supports the factor that something dreadful is going on in the humanities right now. Anyone looking carefully will observe, as Eileen Bérubé has, that the actual failure of humanities enrollments occurred in the 1970s. There is small lull in the Great Recession, but enrollments decreased more in the mid-1990s. Sure, a few Harvard degrees have turned from history to government in the last decade, but how much of that should any of us be distressed? 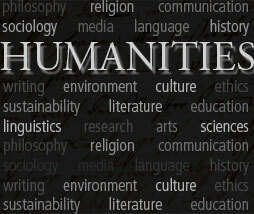 But even if the fall is old, it does succeed in making the humanities appear extremely out of date. If it is not decreasing, it is still past the time of importance. And that is a powerful story for all kinds of individuals. It makes humanists experience as though they are entitled to a bigger share of the school, and that some pathology in the lifestyle at large has them under stress. It allows more traditionalist experts of the humanities feel protected in declaring that something (deconstruction, multiculturalism, etc.) has toppled the areas from their regular position. And it indicates that anyone with an equation to “fix” the humanities can guarantee a comeback in more untroubled times.